individual case management and counselling since it opened in 2010.
their mental illness and let them know they are valued. with disabilities on what is acknowledged as one of the most spectacular waterways in the world Sydney Harbor. behavioral, learning, emotional and mental health disorders. Established in 2001, Bear Cottage has been providing respite care as a hospice to terminally ill children ever since. As heart-breaking as this is, Bear Cottage does an amazing job of being one of the most uplifting and inspiring places you’re likely to find. They organize special days, trips away and much more for their kids. 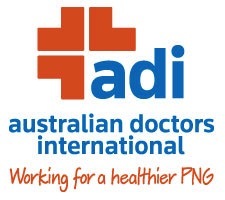 ADI specialises in deploying volunteer doctors and health managers to work in partnership with local government and church health providers to deliver clinical treatment and training, health management, community education, and advocacy. They work in PNG’s New Ireland and Western Provinces and every year treat over 5,500 patients and conduct over 830 hours of clinical training for local health workers and hospital staff. ADI’s field programs are grassroots, hands-on and practical.